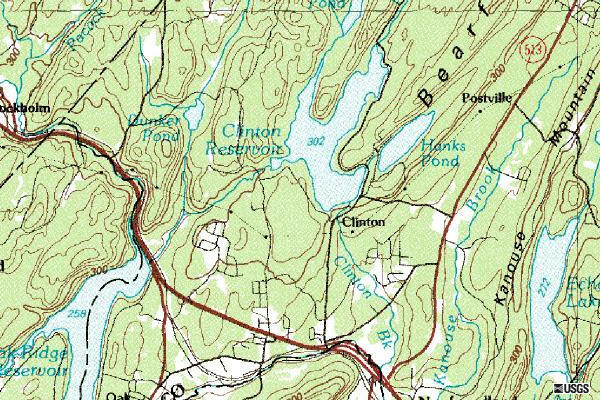 Clinton Road runs from Route 23 in West Milford to Upper Greenwood Lake. 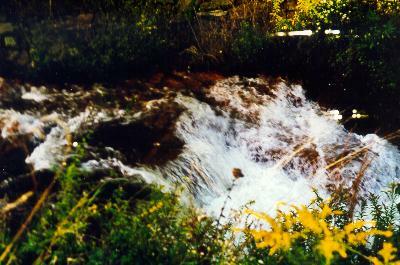 It is a mostly undeveloped area, and the road meanders around various reservoirs. Most of the land is watershed owned by the Newark Watershed Conservation and Development Corporation (NWCDC). This road was a popular hangout spot for kids when I was a teenager (mid- to late-70's). It appears that it's still a well-known spot which retains a bit of mystery (see this collection of letters in Weird N.J.). 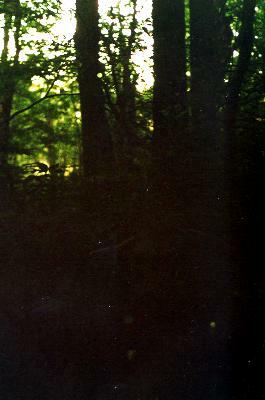 I can say that in the late 70's, a friend and I once walked the entire road in the dead of night, all the way from Route 23 to Greenwood Lake. We stopped off at Hank's Pond and the Castle without any ill effect. Once the sun came up, the bugs had to be seen to be believed - these were the B-52's of the insect kingdom. Traveling toward Upper Greenwood Lake from Route 23, you first pass some houses, but the area rapidly changes to woods with no signs of habitation. At the point where Clinton Brook starts (at Clinton Reservoir) there is an old iron furnace. Further down the road, there is a fire trail/hiking path leading off toward Hank's Pond from Clinton Road. 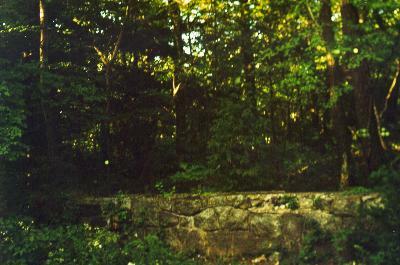 Along this trail was an old stone mansion known to the kids as "Clinton Castle". 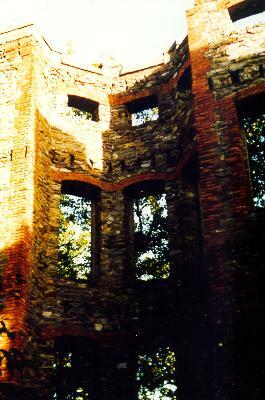 It was a multi-story stone and brick building which apparently burned down at some point in the past. There was no interior left when I photographed it - all that was left was the stone exterior and a free-standing chimney. I asked the NWCDC staff about this around 1985, and they told me they thought most of this area had been the property of a very wealthy family who went broke during the Great Depression, and Newark bought the property soon after. When I get a chance, I will do more research to confirm this, as well as trying to locate historical records for scanning. 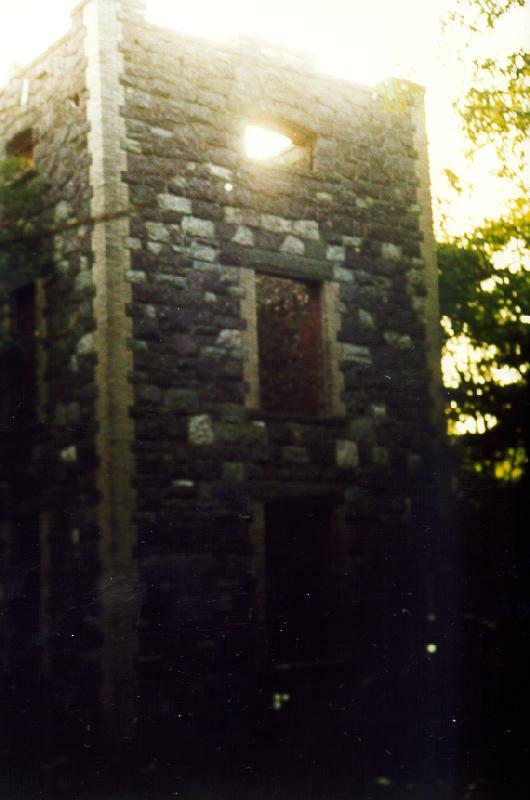 Update: http://www.njaol.com/history_photos/history.htm has this to say about it: Cross Castle, built in 1907 as the Tudor Revival mansion of Richard F. Cross, was the most impressive estate in West Milford at one time. Sold to the City of Newark in 1919, the building has deteriorated to a shell of its former grandeur. The Castle is no longer standing - it was apparently pulled down as it was attracting kids and I assume the NWCDC was concerned about lawsuits. 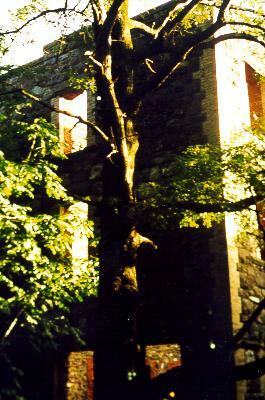 When I last looked at it (around 1995) all that was left was a clearing full of rubble. They had also built a beach on Hank's Pond as well as a beach house, to bring disadvantaged city kids up to the woods. That building has also been torn down. 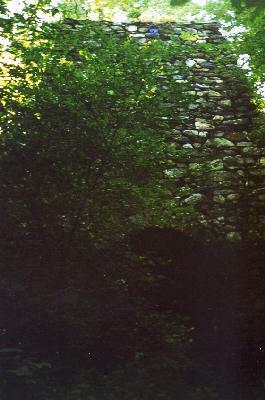 Other areas in the watershed show signs of past human habitation - between the Castle and the shore of Hank's pond is a large concrete slab and chimney which may have been a guest cottage for the Castle. 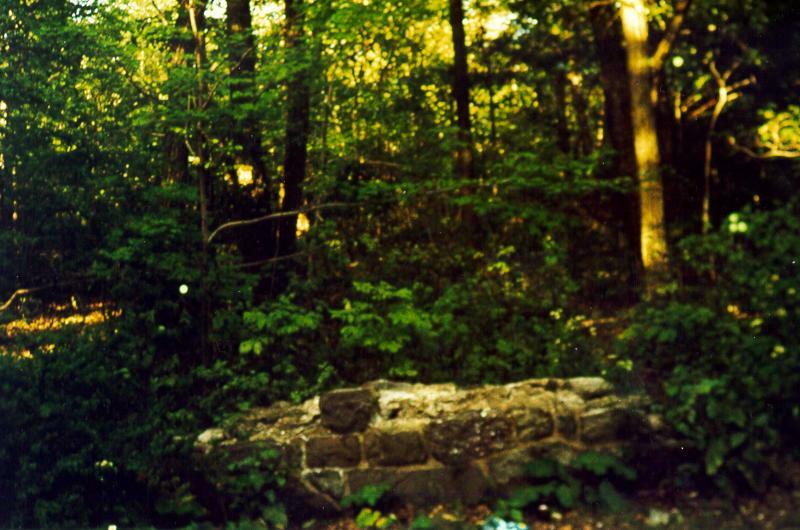 On the mountain overlooking Cedar Pond is a very similar slab, which had a trap door down to what appeared to be a wine cellar. In the fall when the water level in Clinton Reservoir drops, you can see old field boundaries of stones piled up to form fences. For your convenience, a copy of the "2001 Rules and Regulations" document and hiking map is available here in PDF format. Also, a copy of the detail of the Clinton Area is available here, also in PDF format. Note that despite being dated 1980, this is the current map being handed out in May, 2001. I have censored one piece of info from this map - the author's full name and home address/phone number. If you need this info for some reason, you may email me at terry-www@glaver.org. These pictures were taken in early September, 1978. Re-visit the site with a better camera and re-photograph the items that are still standing. Provide descriptive ALT= tags for the photos. 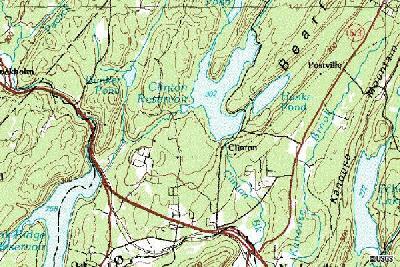 The USGS topographic map of the area, courtesy of Microsoft terraserver. 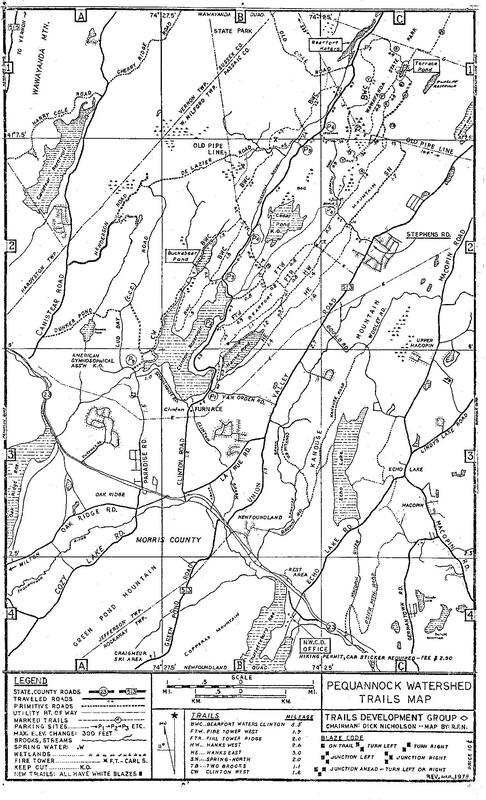 The 1978 edition of the hiking trail map published by NWCDC. Please note that this is not the current map - the prices, regulations, and "keep out" areas have changed greatly since then. 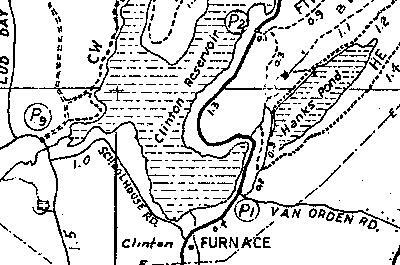 The furnace and waterfall are at the bottom center of this map, at the dot to the left of the legend "FURNACE". 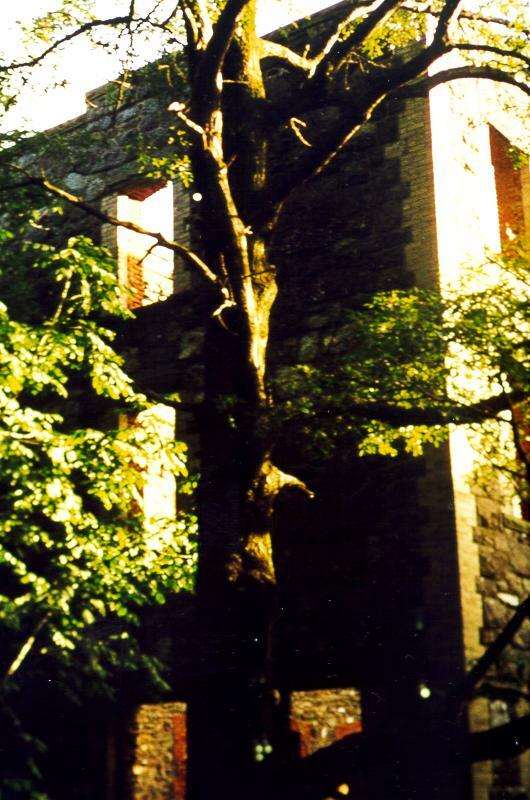 The castle is marked by a star about 1/3 of the way down and 1/3 of the way in from the right (above the horizontal line and to the left of Hank's Pond). Note: clicking on the above image will present the whole map, which is quite large and may crash some older browsers, or may not display if your system is short of memory. If that happens, you'll have to right-click on it and save it to a local hard disk in order to view it with a real image viewer. 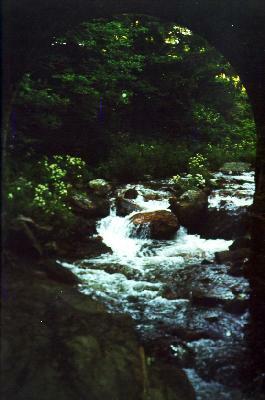 This is a view looking up Clinton Brook toward the bridge that carries Clinton Road. 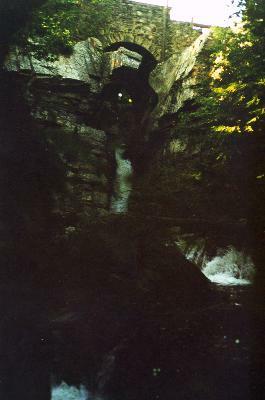 Note the projecting piece of rock in front of the stone archway. 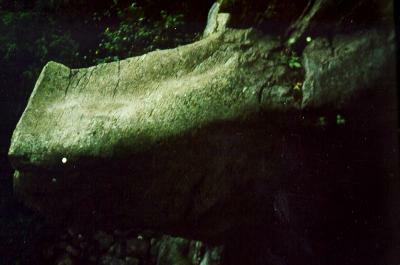 This is the rock outcrop mentioned in the previous paragraph. 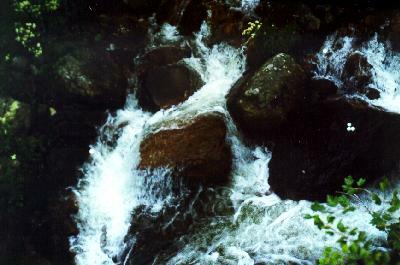 It hangs out over a drop of about 50 feet to a small pool below. Looking the other way (toward Clinton Reservoir) from under the bridge. Wildflowers growing near the stream between Clinton Road and Clinton Reservoir. 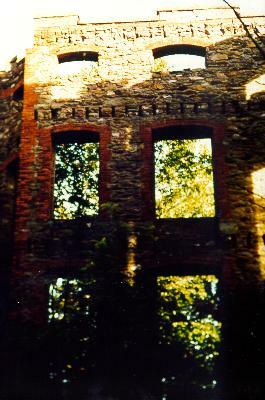 The exterior of Clinton Furnace. The last time I visited the site (around 1995) part of the stonwork had collapsed and there was a huge blue tarp over it. Additional information can be found at Iron Furnaces of the Ramapo Mountains. 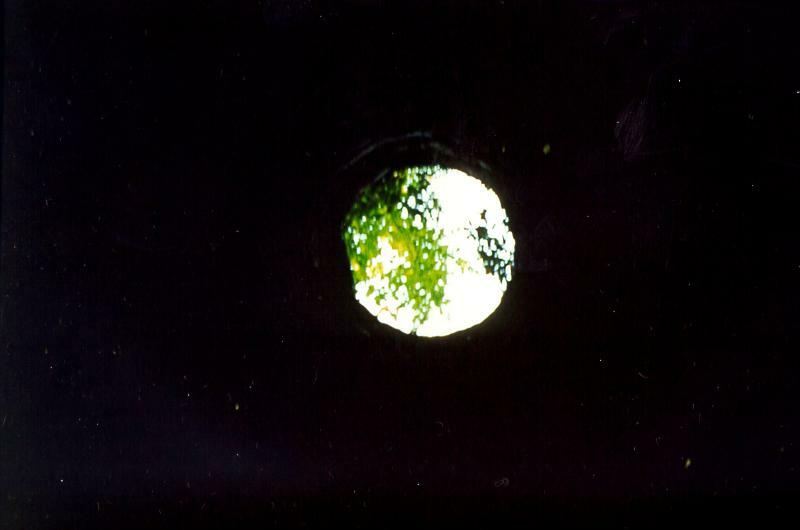 Looking up to the sky from inside the furnace. 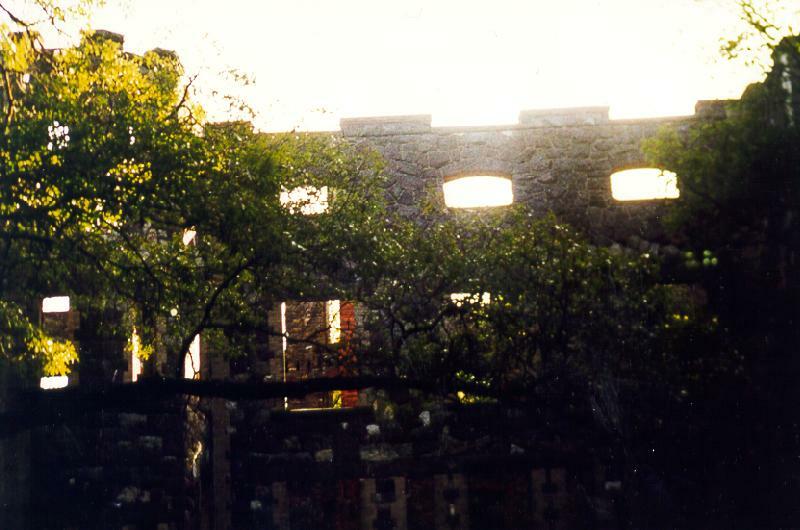 A front view of the castle. There was a large courtyard in front of the building, which is where I was standing when I took this picture. The castle's northwest tower. This is one of my favorite pictures - it reminds me of something that might be seen on a Led Zeppelin album cover. 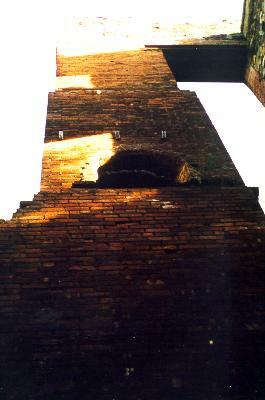 The chimney. This picture was taken while I was standing in the basement. As I recall, the floor was heavily littered with beer bottles/cans. 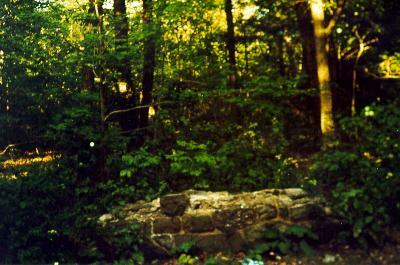 Further along the wall, to the south-southeast. Looking at the woods across the courtyard from the front of the building. 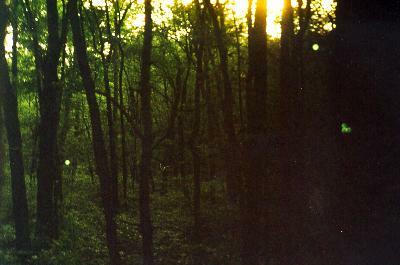 Another picture of the woods. Walking through the woods, down toward Hank's Pond. Hank's Pond is barely visible behind these trees. Accessibility Policy This page last modified on Monday, 02-Nov-2015 22:45:32 EST. So, what's a glaver anyway? 24 hits this week, 68908 since 1/28/2000.